Thurs. 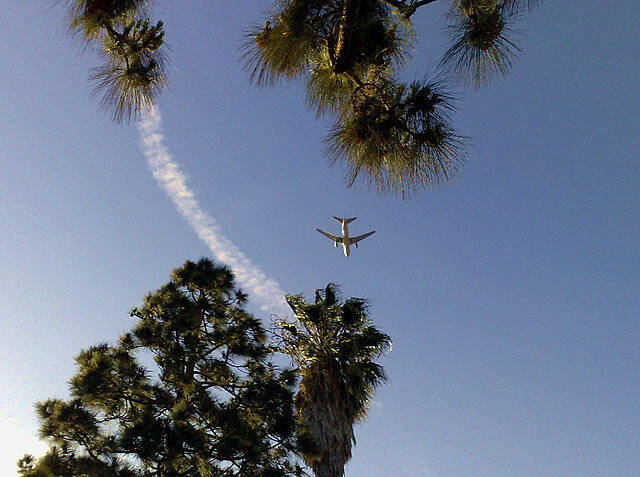 03.27.08 – Whilst walking the dogs today in Huntington Beach, I looked up and saw this plane coming in for landing – be it to Los Alamitos or Long Beach, I don’t know as I did not see if the markings were military or commercial. But I love it when the planes come low enough for me to capture the photo with my mobile phone. by Ms. Jen on Thu March 27, 2008 | Permalink | fun stuff, photos + text from the road.